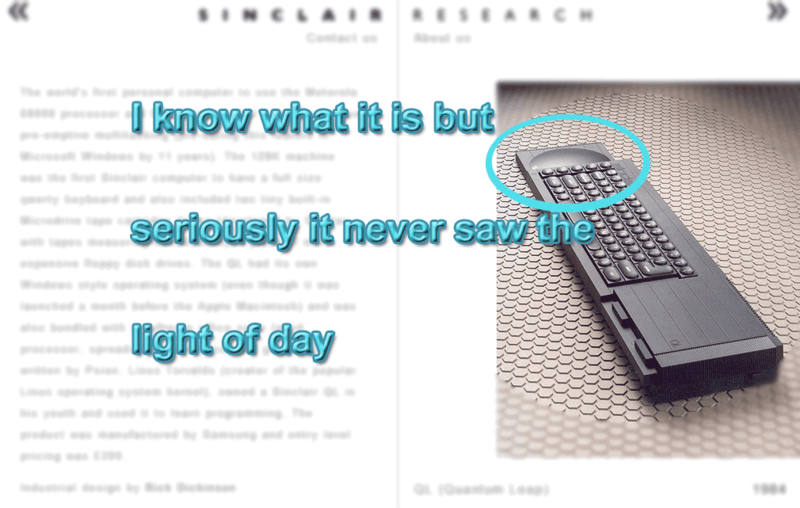 Scrolling through the timeline depicted by SinclairZX website from the late 60s to the 80s I finally get to the picture of the QL. Hmm I thought nice picture but something not quite correct, the cheeky people. What's that sticking out of the port, is it a monster, is it a monster?